First in Penny Deacon's near-future dystopian thriller series. Humility's a low-tech woman in a hi-tech world - but she's not going to give up until she knows who killed the guy everyone said was harmless. The mystery leads her to the cruellest parts of the city where people kill for the cost of a meal. It's a world where she's not sure anyone is who they claim to be, and where one death leads to another... and the next one could be hers! 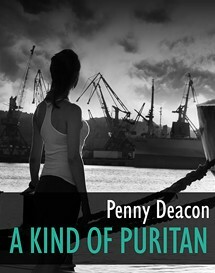 The first in Penny Deacon’s futurecrime thriller series.